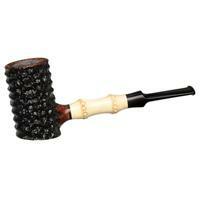 Over the years or decades that some of us have been pipe smokers, we’ve seen blends come, and more often go. For a variety of reasons, many great, and many more not-so-great blends have disappeared from the market. Some of these, the best, or best known, have been subsequently replaced by a parade of mass-produced caricatures of their namesakes. Or, they’ve served as inspiration for newer, craft-blended products that endeavor to stimulate reminiscences of days past by capturing some of their ancient alchemy. The rest, the more obscure majority, have quietly fallen into a dark pit of oblivion, leaving only their names remaining in the collective history of pipedom. A couple years ago, I was given a tin of a wonderful old blend, one that hasn’t been produced in about 25 years, one that I had known well and enjoyed when it was still available, albeit somewhat infrequently. I was enthusiastic to have the opportunity to revisit an old acquaintance, spend some time in the company of once familiar memories, and revel in the changes to the mixture that time has wrought. There’s something about old tobaccos that inspires romantic notions about the past, and often leads some of us to conclude that the good old days of great tobaccos are far behind us. It may not be so simple. Were things really better then? If I were to take this one tin of aged tobacco as the only indicator of the state of the pipe world, I might be inclined to think so. It’s probably not quite fair to review one of the many species of unobtainium that few amongst us will ever see, let alone smoke, but the experience was profound enough that a few words of reverie might be well spent. Marlowe was one of the blends made by Robert McConnells in London for Garfinkel’s, a well known, traditional tobacconist’s shop that served Washington DC for decades, finally closing their doors for good in the late 1980s or early 1990s. As some may recall, my all time top-rated blend was their Orient Express #11, blended famously by Sobranie House, along with the similarly named #7 and #15, but the McConnell produced blends, which also included Ridgeway, Shottery, Armon, and a few others, were also superb. The old tin of Marlowe so generously given to me was no exception. It was a blend comprising a significant percentage of oriental leaf, a dose of Cypriot latakia, and a sturdy backbone of wonderful virginias, as only McConnell could do them. The aroma rushing from the tin as the seal was breached after all these years was fruity, ripe and rich. The pungent smokiness of the latakia had been softened by time, but the magic that time works on orientals and virginias was present in abundance. In the pipe, the sweetness on the palate was round and unctuous, slightly caramelized, like a silky crème brûlée. Fascinating whiffs of deep tobacco flavors mingled with spicy, slightly verdant notes, and delicately smoky, piney hints of the latakia’s presence. The tin aroma’s fruitiness was more subdued in the smoke, giving way to nuttiness and an almost bittersweet chocolate flavor. With each puff, something new revealed itself, then receded, making room for the next. This complexity, this fascinating dance of exotic tastes and aromas is what well-aged tobacco is all about, and that complexity, the myriad personalities that a single blend can present, the smoky invitation to deeper contemplation, even reverence is why I have collected old tins for almost as long as I’ve been smoking a pipe. It’s one of life’s special experiences. Then, silently, with no hint that the end was near, no three-minute warning, in one final puff, it was over, leaving nothing but a sublime aftertaste, the memory of a great smoke, a little pile of ash, and, fortunately, a dozen more bowls in the tin. If this had been the only tobacco, now long gone, rare, all but unknown, that I’d ever smoked, I likely would be inclined to join the choir in the songs of lament we’ve so often heard: They don’t make ‘em like this anymore. The sentiment would be startlingly true; they don’t make tobaccos like this anymore. I remember smoking this blend in its relative youth. Back when I was trading with Garfinkel’s, I smoked through most of their catalogue, which is how I stumbled upon, and settled on the Orient Express #11 as my touchstone for latakia mixtures. Young Marlowe was exquisite, no doubt, but it wasn’t this. It couldn’t be. In fact, it’s likely that no one really knew they ever would be. Twenty five years ago, people didn’t think much about aging tobaccos for the long term. I learned about it from Robert Rex, then proprietor of Drucquer & Sons, who would pull tins out of production and age them for five years before selling them to the skeptic and the connoisseur at a premium. For the most part, though, you bought tobacco relatively fresh (imported tins, “aged” on container ships during their long voyage from the UK notwithstanding), you smoked it, and you bought some more. That was then. Twenty-five years later, this blend had transformed into something magnificent, and smoking it today is a singular experience that cannot be replicated any other way. 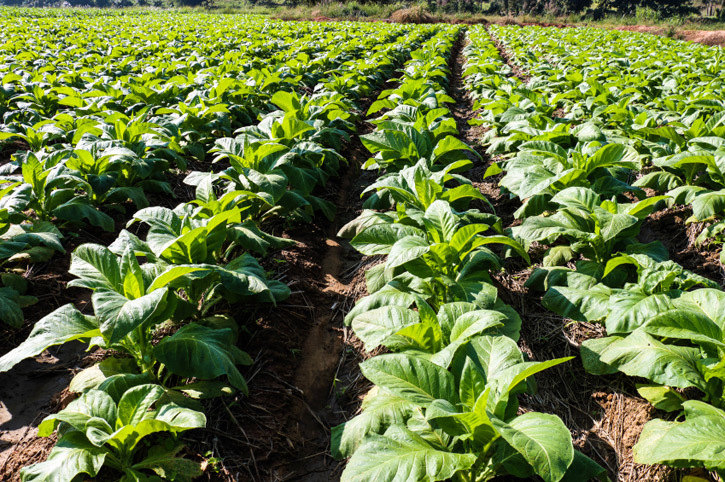 Even if we had access to the same leaf, the same formula, the same processing methods, the same atmosphere, the same water, we couldn’t recreate this tobacco today. If luck were our daily grace we might produce something that, 25 years from now, would evolve into something similar, but the variables are many, and any slight change today, when amplified by the passage of time, would result in something very different. Even two tins from the same vintage can exhibit noticeable divergence over time, partly from changes in storage conditions, partly from the influence of the fates; maybe more the latter than the former. 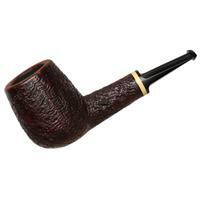 Newer smokers today have only the smoky reflections of old-timers and the easy access to old catalogues and other ephemera of the past to form their images of what it was like to be a pipe smoker “back in the day,” and whether or not it was really “better” then. There were more of us, certainly. During the pipe’s peak, the number of pipe smokers was a couple orders of magnitude larger than it is today. 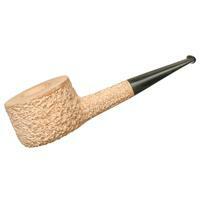 There were tobacconists’ shops in every major city, and pipe tobacco was easy to find. Pipe smokers could puff away in public with few repercussions, and puff they did. We see them in movies, in magazine ads, in sitcoms, on the jackets of books and record albums and even in the comics. The pipe smoker was everywhere. The pipe smoker was everyman. And, no one took much notice. It wasn’t until our numbers declined dramatically, a downward trend that seems to have accelerated in the mid- to late-1970s, that we became outliers, and started hearing the comments. “How quaint. My grandfather smoked a pipe.” Yeah. The first time I heard those words, I was a 20 year old sprout, and though I felt at the time that I’d cultivated an air of tweedy sophistication with pipe in hand, suddenly, I felt like a dusty antique. I wonder if that would have happened “back in the day.” It’s impossible to know if it was better then, but it was certainly different. We might have fared a little better at fitting in with society at large, then. So well, in fact, that we would have virtually disappeared. Things are never what they used to be, and like that old tin of Marlowe, probably never really were. Our recollections are colored by emotion, by history viewed through rosy spectacles of nostalgia, by experience. In a sense, we’re probably better off in some ways, today. Though there are fewer of us, our collective enthusiasm has likely never been greater. 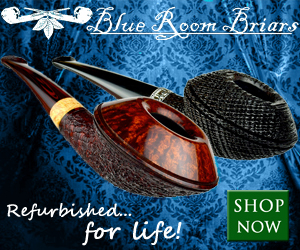 We can effortlessly connect with pipe smokers from every corner of the world who share our passions. We can hunt down and enjoy vintage tins of some of the classic tobaccos of olde, and, being that our ranks are smaller, there’s arguably less competition for those vintage tins when they do appear. Further, thanks to the wider distribution of products made possible by the Interwebs, we have access to a great variety of blends from all categories, including exciting, craft-blended boutique blends that would have been only regional delicacies just a couple decades ago. Granted, the genuine old Rattray’s, McConnell’s and Sobranie House products are gone, but some of today’s blends will evolve to become tomorrow’s classics, and those of us with the foresight to squirrel a few away will have the opportunity of reanimating our own histories as pipesters. We should revel in our time, shedding few tears for the past. So, carpe diem. There’s nothing like the present to enjoy what we have, and it’s certainly more fulfilling than lamenting what we’re missing. I do occasionally long for some of the old blends, for sure, especially some of those that I wasn’t smart enough to stock up on, but I tend to treat these things the same way I treat vintage wines. Nothing lasts forever, so get as much enjoyment as you can out of it today. Next year, they might be different, or gone completely. Ashes to ashes. Once again, you have poetically rendered a fine smoke of an article. I really haven’t been at this for much more than a couple of years, and when I do crack open a tin of Three Nuns (or some other such reborn blend), I get epidermal squigglies when some codger points out that “Three Nuns ain’t what it used to be.” …as if I need the wind kicked out of my sails for circumstances beyond my control, as if somehow I should be ashamed for thinking that this was wonderful tobacco. Whether something with this same name once had perique some many moons ago has no bearing on whether I will or will not enjoy the current loadings in the chamber before my face. Or maybe, they just want a pat on the back. A gesture of the young warrior to the greyed dusty old man in the trenches. Maybe they want my admiration for their trails of ashes, and tales of smoke long passed. Whichever, I give them the thumbs up, and set flame to vegetable. range of choices beyond anything our grandfathers knew or expected, I would say. This is a great article. The though of aging, while I understand is rewarding, is pretty tough for a FNG, but I did score some 2004 Cumberland that is divine, so I see the positive outcome. I have a couple of tins of Three Nuns and the one I opened is very good, but I think a lot of what “the old” versus “the new” is subjective, kind of like the article talks about. But then again, I’m left handed, new to the hobby and may, in fact, not know jack crap. Great article. With all the doom and gloom talk surrounding the tobacco industry lately, it is a refreshing surprise to read an article that paints a rosie picture for today’s pipe smoker. An evocative and thought provoking article indeed! I can recall two very different eras as a pipe smoker. In 1978 I stepped into the local tobacconist in my home town, population about twenty thousand and a very modest commercial centre, and for my second or third tobacco bought the old Balkan Sobranie. Now I suppose you might hunt up some over the counter plastic pouch blend from a supermarket or newsagent there but I doubt it would pass the most benign muster as a smoke. 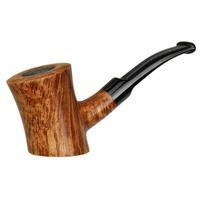 Back then pipes also were widely available and, if you chose carefully, reasonably good. As about then I moved to work in central London I had a wonderful choice within 10 minutes walk but the golden age was soon to end; Sobranie and Dunhill both changed radically in the eighties. Sadly I did not anticipate and laid up no stock for the future. Now there is a new golden age of tobacco with wonderful ranges of new tobaccos attracting just as devoted adherents as the great old time blends. For example, with no intent to flatter, Greg’s tobaccos are at least as good as those of thirty five years ago although most exhibit a slightly different and considerably wider palette of taste than was used in 1978 London. Admittedly Westminster almost certainly, Abingdon and Union Square probably fit within the older range in the sense that in 1978 they could have appeared in a Dunhill (with a much higher price!) or Sobranie tin with no other reaction than appreciation but most of the others would have been seen as something quite different and new. Wine has experienced the same changes thanks to the influence of what our wine merchants in the UK called New World wines with a fresher, cleaner and wider taste range revolutionising the way even the French make fine wine. So what is the conclusion of visiting these two different times? Stock up because all too soon your favourite blend will be threatened by taxation, regulation, narrowing in the choice of tobacco grown or corporate economics and become much more expensive, a parody of itself or disappear completely just like my beloved Dunhill and and Sobranie blends did. parodies of the old time great tobaccos. I certainly do not want to diminish their pleasure in a smoke or to be saluted but neither do I like the thought of them assuming that because they have great old names decent but bland tobaccos are the best now on offer and so miss genuine nirvana smokes with this age’s great tobaccos. So far I have not reviewed any of what I see as zombie blends but maybe us old codgers have a duty to provide a context that may help in getting the best out of today. Actually there were two versions of Marlowe. 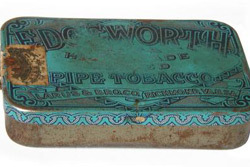 Initially Marlowe was “modeled on Rattray’s Black Mallory” and blended by Godfrey Phillips—think Four Square—but when they exited the pipe tobacco business, Garfinkel’s shifted production to Robert McConnell. Ostensibly the formula remained the same but the packaging did not. Although the ruby red paper labels were identical, the tins differed. The most significant appearance change was the painted color of the lid, as the original gold color changed to white. In-house they were referred to as Marlowe and Marlowe-Gold. Both were available concurrently (for a while) but to get the original Godfrey Phillips production you had to specify Marlowe Gold. I too tried all of their imported latakia mixtures and (to me) Orient Express Special Mixture No. 11 and Marlowe (Gold), although dramatically different, were Garfinkel’s best. Elegantly and authorititively written from “Spokesman in Chief” of the pipesmoking community world-wide. I have often believed that, while some blends do diminish and reduce in quality, our palates do also. I believe the somewhat natural progression from light/simple to full-bodied tobacco which many pipesmokers experience also plays a large part in the dis-satisfaction many smokers find when returning to a onec-loved blend. I’m hoping to pick up some of the new Crown Achievement at the NYC Show this weekend. I have a 20+ year aged sample to contrast with the new version. It should be interesting. A wonderfully written article with a ton of substance. I personally think today’s blenders are the best there has ever been. There may not be many of them but they are very good. 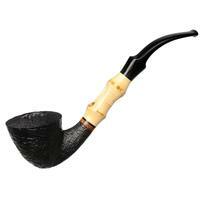 The well aged tobacco from our youth can be breathtakingly exquisite. You simply have not lived until you have smoked some properly aged Cope’s Escudo. If you can find some “Ye Olde Signe” pay whatever it takes to purchase it. You can always get more children. As Greg said, “but who knew”. Well the blender sure didn’t. It is just a serendipitous gift from Father Time. Thanks Greg - a really thought-provoking piece. 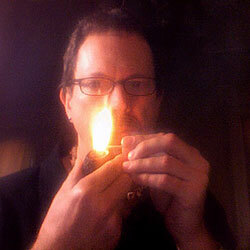 I’ve been smoking a pipe for most of the past 35 years and I think there is little comparison between then and now. The social, practical, and economic vistas have totally changed. Most importantly, pipe-smoking when I was growing up in rural England was just what many men did, without comment or sanction. They chose their tobacco from a more prosaic selection with little thought for the future. Your particularly important point is also the most telling: very few of those pipe and tobacco producers and smokers thought about posterity or the distant future. Many of today’s pipers have made a ‘culture’ of something that was, by it’s nature, an enjoyable, daily fact of life. 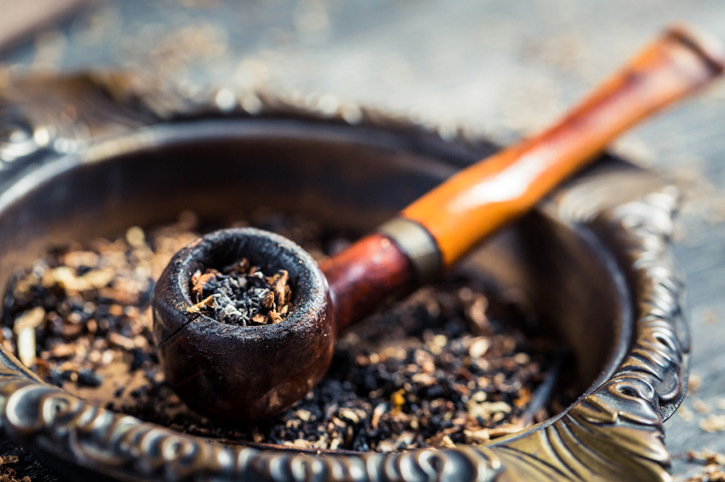 The Internet has allowed many modern pipe-smokers to buy, trade, and taste ‘vintage’ blends and to compare them with the ‘original’ tobacco. Unfortunately, the intervening years and selective memories mean that these in-depth analyses are out of context. That same technology gives us all access to a wonderful, diverse range of tobaccos and pipes blended and made by artisans and factories from across the World. We can have experiences our forebears could not have dreamed of. A Golden Age indeed! Walking down the streets of downtown Pittsburgh today I was greeted by a man in a suit and tie. He gave me the old ” my grandfather smoked a pipe!”. I was seconds away from giving my usual response of ” If my sister had balls she’d be my brother” until I realized who it was. Phil Petudo the mayor of Pittsburgh stood before me with Katie McGinty, who is running for governor of Pennsylvania. Needless to say , I bit my tongue and said ” yeah mine too” completely lying! Phil was going on talking about his grandfather smoked some great smelling cherry blend and how much he missed it. I was smoking Westminster….not really an aromatic Cherry blend. After smelling what I was smoking you could tell he wasn’t expecting what hit his nose. I bit my tongue again trying not to laugh and walked away puffing on my Viprati bulldog. Is this the life of a young Jedi pipe enthusiast??? Constantly I am reminded of what was compared to what is!! This goes for everything especially music! At least I got to see Pink Floyd , the Who, Stones and the Dead! Is this like what I’m left to smoke in my pipe??? Lady Gaga tobacco?? Three chord Nickleback blends?? Well I want to smoke some Frank Zappa damnit! I want that complexity of old that I’m constantly reminded of!! Well the best I can do is to take comfort in what I have available to me!! Greg ,, you are my savior!! When I crack a tin of Meridian I don’t care about these altered or discontinued blends. When I smoke A fat pipe of Westminster , I am pretty sure that this is just as good if not better than what was smoked in the glory days of old! Thanks for the perspective Greg. Being a relatively new pipester (not quite a year), I am hoping to learn what each blend has to offer, on it’s own terms. That calls for keeping it slow and not rushing in to a smoke, unless you’re smoking something that is simple and meant to be rushed into. However, it’s with blends like yours that I hope to become educated in the complexities of, and appreciate the various layers of flavor inbedded in the blends. Thanks for continuing the tradition and giving us many more options to choose from. I’m an old duffer and I love the old vintage blends with many stored away to share with close friends that relish them as much as I do. Like you said, they don’t make ‘em like this anymore, and they never did. What a great article, and your advice is well taken to buy up plenty of today’s blends, cellar them, and see how they mature and change for future smoking pleasure. In ten or twenty years we can all say, ” they don’t make them like this anymore, and they never did”. Thanks for putting the good old days into perspective. Thanks for all the wonderful comments. I’ve been an advocate of cellaring tobaccos almost since the beginning. My strategy was simple: For every tin I finished, I’d replace it with two; one to smoke, and one for the cellar. My rationale was that if I actually finished a tin of something, I obviously liked it, so I should stock up at approximately the same rate I was smoking it. That way, the inventory reflected preference. With some, like the Garfinkel’s #11, I was more aggressive, cellaring 7:1, and I’m really glad I did. We really are a nostalgic lot, aren’t we? I love reading articles like this! Keep it up. Another great article! Keep ‘em coming Greg.